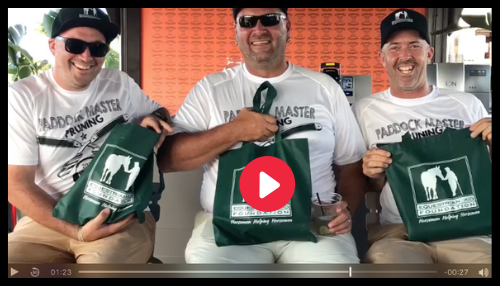 Wellington, Fla. – Feb. 26, 2019 – In an unprecedented fundraising initiative for the Equestrian Aid Foundation, three ingate staff at the world-class Winter Equestrian Festival raised over $15,000 in just under two weeks... by pledging to shave their heads and beards as monetary goals were met. The effort was the brainchild of Grand Hunter Ring paddock master Pat Duncan. "The shaving idea started as a joke, but then after planning a little we realized we could really do something that could help out people who are in real need," said Duncan. Living in Wellington and traveling the country the rest of the year, we lead a pretty lucky life. It's important to remember how fortunate we all are, and doing this let us give back to the sport and the people who make all of this possible." Paddock masters Tom Carlson and Mo Duhon, both known for their signature beards, were also enthusiastic participants in the initiative. Liz Soroka, who manages the Exhibitor Services Center at WEF, lent her organizational and artistic prowess to fundraiser's execution. While the initiative was the most gleefully unique way funds have been generated for EAF's mission in its 23 years of service to the community, the foundation was quick to point out the more serious import of the effort. "These individuals are the engine of one of North America's most prestigious equestrian events; they're the ones who keep our rings and our days moving along," said EAF board member Monique Keitz. "In the midst of all that they have on their plates, they prioritized equestrians in crisis, helping them to move along, too. It's a very powerful gesture." The fundraiser culminated with a public shaving at the Palm Beach International Equestrian Center on Saturday afternoon. 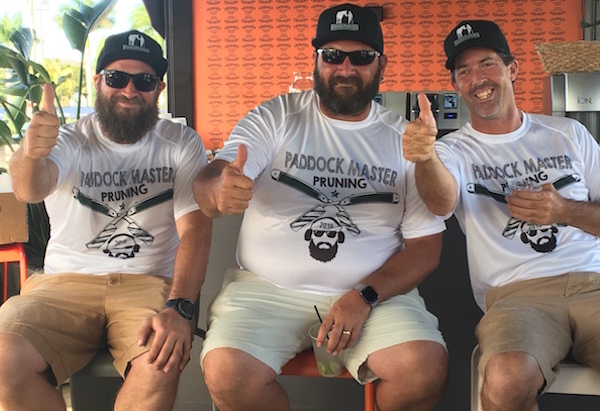 Click below to watch the official video of the 2019 Paddock Master Pruning.